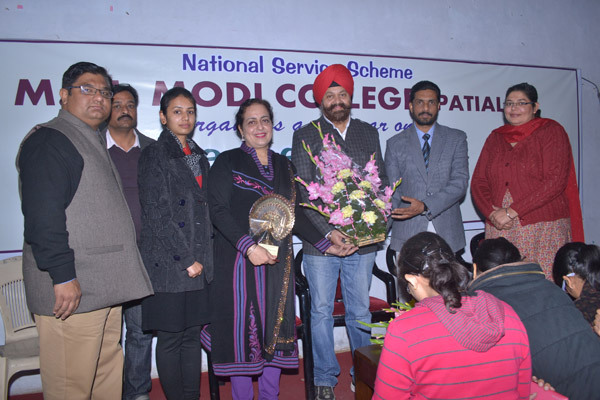 NSS department of the local M M Modi College celebrated ‘Save the Girl Child’fortnight in the College. 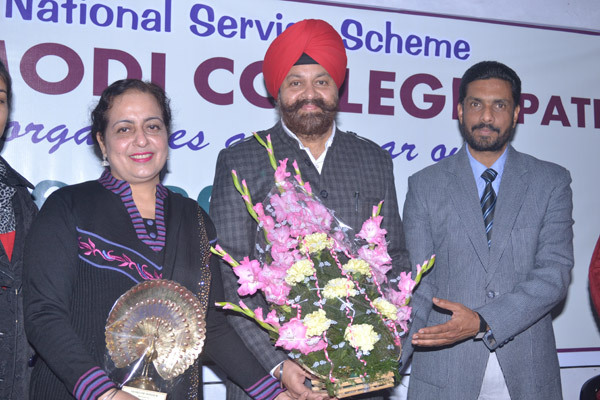 On the concluding day of the event Dr. Harshinder Kaur an eminent social activist delivered an emotional and thought provoking lecture on ‘Save the Girl Child – Save the Nation’ an impressive gathering of hundreds of students and the teachers. About 800 students took part in oath taking ceremony saying ‘No to Dowry’. Dr. Harshinder Kaur informed that she would take such oath letters of about one lac youth to the U.N. in Geneva in 2015. She explained to the students the historical, social and economic causes of female foeticide, dowry deaths and crime against women. She said that the number of girls is going down not only in our country, but many developed countries are also facing the problem of female foeticide. Our Indians too, settled in developed countries don’t want girls. She asked the students to stand against these evils and build a healthy society. Dr. Khushvinder Kumar, the college principal welcomed the Chief Guest and informed that Dr. Harshinder Kaur has already delivered lectures on this social issue at the international forum of UN. He further said that only by educating the girls this evil can be eliminated. Prof. Balvir Singh asked the youth and the scholars to find out the real causes of these problems and urged the need to shed feudal mindset to eradicate this problem. Ms. Sukh Brar, a social activist, who is on a mission to help thalassemia victims also addressed the students. She asked them to get themselves medically examined before their marriage. She also urged the students to donate blood liberally for the thalassemia affected patients. A paper reading contest was also organised on this occasion in which Ms. Divisha Sharma bagged 1st position, Ms. Puneet got 2nd and Ms. Kirti Bansal, Anu Singla and Saavi Singla got 3rd prize. 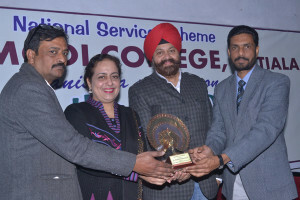 Prof. Baljinder Kaur, Prof. Jagdeep Kaur and Prof. Ajit Kumar were judges for the contest. Dr. Rajeev Sharma and Ms. Ribha Singla conducted the stage. Prof. Harmohan Sharma presented the vote of thanks. Dr. Khushvinder Kumar, the college principal welcomed the Chief Guest and informed that Dr. Harshinder Kaur has already delivered lectures on this social issue at the international forum of UN. 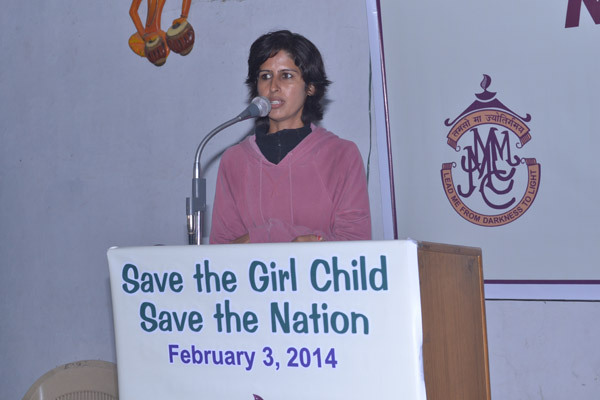 Ms. Sukh Brar, a social activist, who is on a mission to help thalassemia victims also addressed the students.